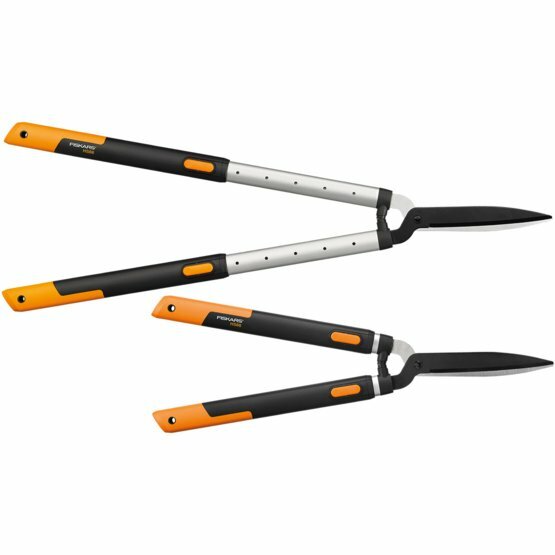 SmartFit Telescopic Hedge Shear HS86 is a handy pair of garden shears for trimming hedges both high and low. For those taller hedges, most gardeners resort to a step ladder but the telescopic feature on these hedge shears give you that little extra edge to reach up to those harder to get branches and twigs. Trimming hedges will never be the same thanks to the ingenious addition of the built in extension system which allows you to give full attention to your hedge care with none of the strain.